Every year I try to stick to the want, need, wear, read rule as far as presents go. As a mother I instinctively want nothing more than to shower them in gifts and spoil them rotten. But, rationally, I know that's not exactly healthy, or what's best for them. Fox is at that age now that he'd be pretty much happy with anything, so long as he gets to tear the wrapping paper off it. 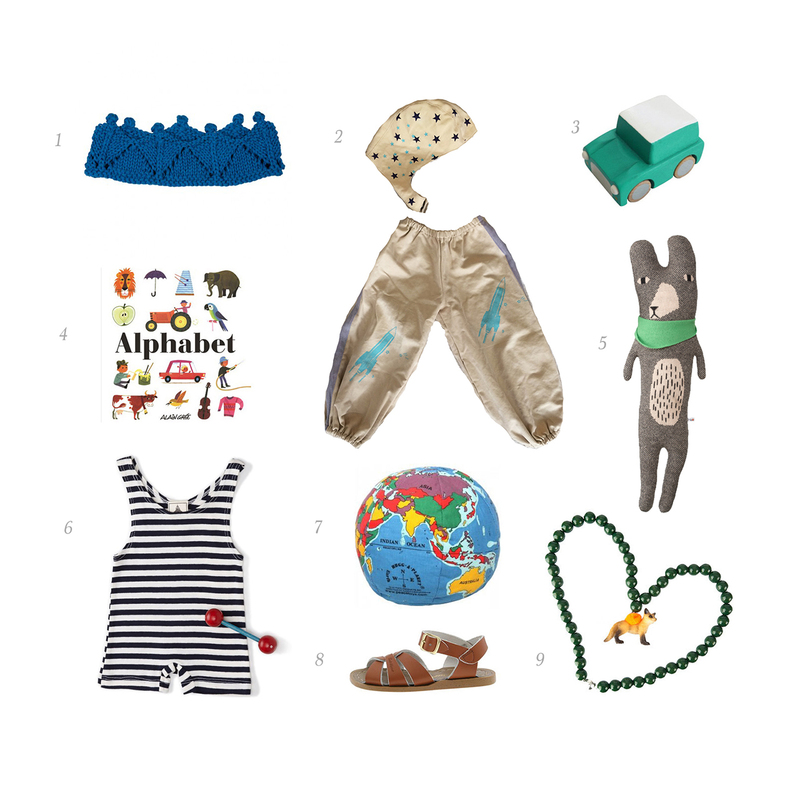 So I put together this wishlist of things I think he would enjoy, plus a few things he needs (like sandals and swimmers) and a few things that are just plain cute. 1. Not entirely sure if he'd keep this knitted crown on his little noggin but it would definitely be worth a try, just for the photo. 3. Cars. What child doesn't like playing with cars? I've definitely never met one. And this one is wooden! 4. A little picture book. Not that they particularly need anymore books, but my philosophy is that you can never have too many. 5. How cute is this teddy bear? Plus, he is lovingly hand knitted in Scotland using 100% lamb's wool. 6. I mean, seriously? 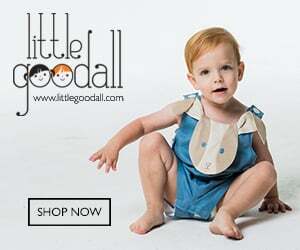 A little man's 1930's style bathing suit? I'm sorry, there is just no question over this one. 7. He'll have the whole world in his hands with this squishy globe. 8. I don't need to go into this one too much. Suffice it to say that Fox already had some of these Saltwater sandals (and we loved them). But now he doesn't. They are probably floating in the middle of the ocean somewhere and my husband will never live it down. 9. A fox necklace. Need I say more?